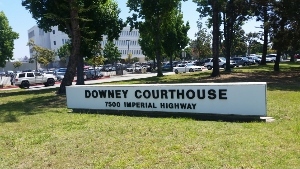 In June, 2013, the Whittier courthouse closed, but before doing so, it transferred all its criminal cases to the Downey and Bellflower courthouses, depending upon the location of the arrest. The following cases may have originated in the Whittier area, and some cases were filed in the Whittier courthouse, but the cases were later transferred to either Downey or Bellflower. Our results from these courthouses are no guarantee of future results. Over time, prosecutors change and the general approach toward domestic violence matters also changes. For a sample of some of our better results from these three courthouses, click on the following case summaries for a detailed description of each case.